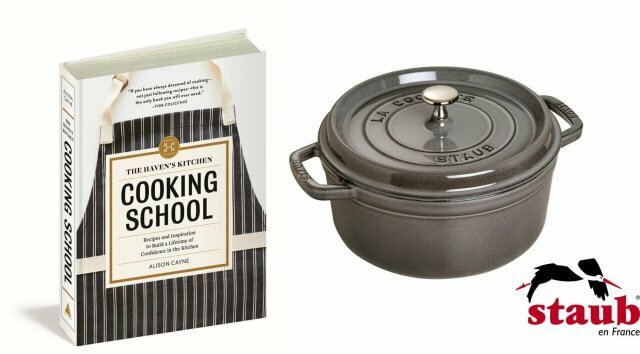 We’re reviewing The Haven’s Kitchen Cooking School Cookbook…which includes a giveaway of the book as well as a cast-iron Staub 5.5 quart Round Cocette (value $315) made in France. The book was provided by Artisan Books. We get about a dozen or so cookbooks that come in the mail for review every single month. 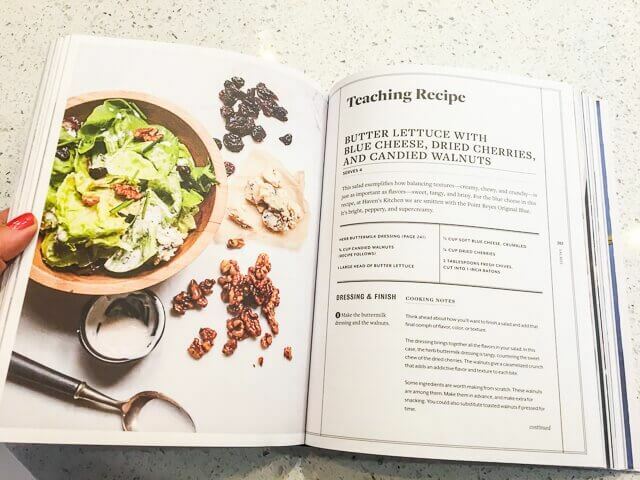 While we don’t have time to read cover-to-cover each and every single one, we do spend time flipping through the book, reading the introductions for each chapter and bookmark a recipe here or there that looks interesting. 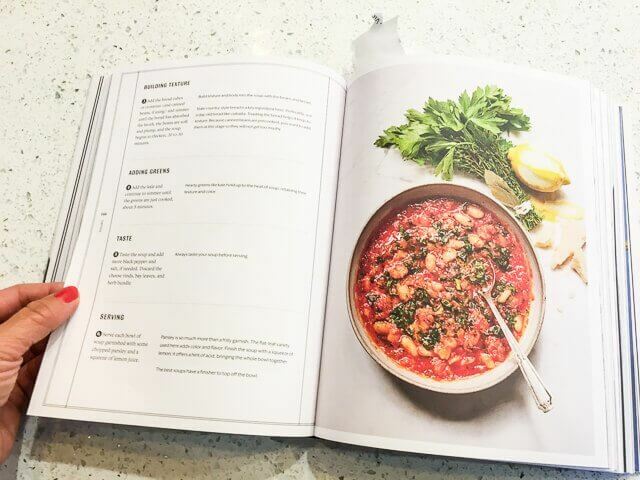 Not so with Haven’s Kitchen Cooking School book. We read every single page. And as you can see, we bookmarked quite a few pages! 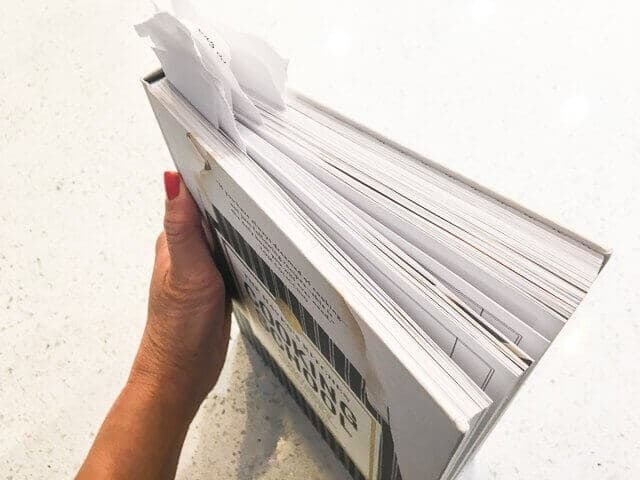 Some of the bookmarks are for must-try recipes….but most of the bookmarks were for cooking concepts that were brand new to me, even as a chef and cookbook author! Grains/beans – to learn cooking with purpose. Learn to cook a pot of rice, or a bowl of quinoa to understand what cooking (time, heat, salt) actually does to an ingredient. I’ll highlight some of my favorite parts of the book. At home, we make soups during the “not-Summer” season here in Las Vegas Nevada. Normally, I’ll throw ingredients into a slow cooker or pressure cooker, especially for Asian-style broths. The soups I make are for serving alongside our main meal, so they are lighter, more broth-like than actual hearty meal-in-a-bowl soups. 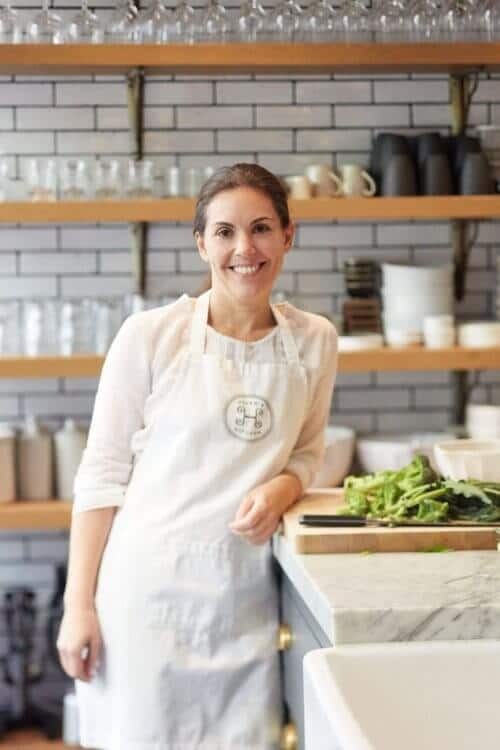 I learned from Haven’s that creating a soup is more than just adding water to ingredients. 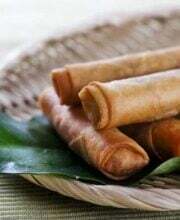 Take care in contemplating textures, fortify soups by adding ingredients at different stages of cooking. 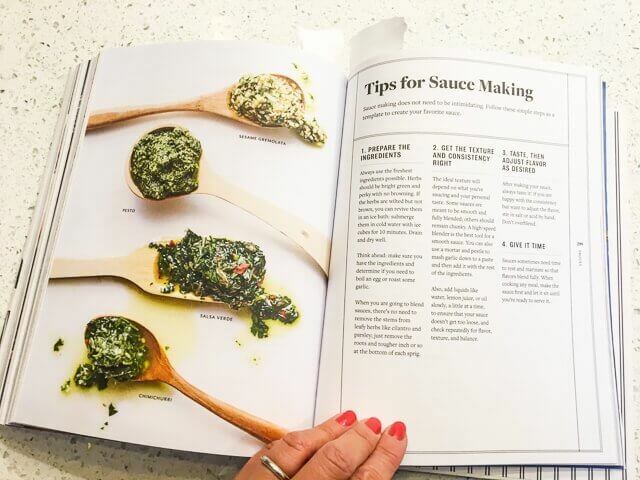 One of my favorite chapters in the book is Sauces. 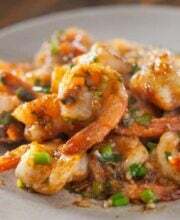 If there’s one thing that I suggest aspiring cooks learn first, it’s how make to sauces. That’s because you can do infinite amount of cooking with sauces. You can use sauces to spoon on top of grilled chicken, to toss with steamed vegetables, to marinade kabobs, to dip in, to dress salads, to mix in with pasta….well, you get the point. 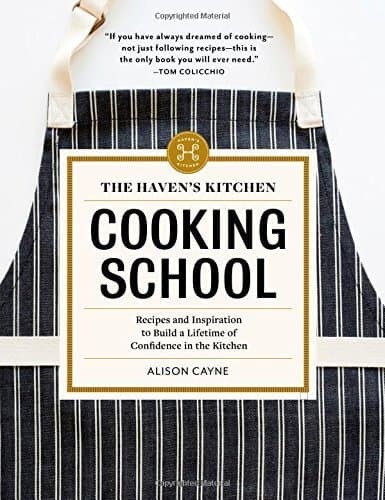 Haven’s Kitchen Cooking School Cookbook teaches you how to balance flavors with salty, sweet, sour, savory, spicy…to build contrasts in flavors. 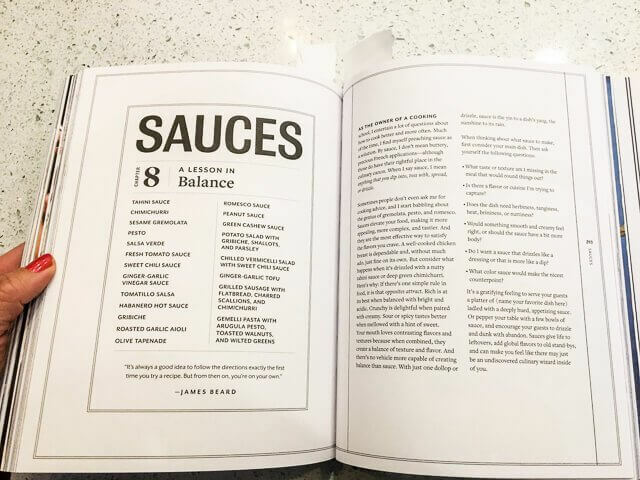 The book includes recipes for 16 different sauces. The Salad master class is brilliant. Sure, a salad can be chopped greens with globs of dressing…or learn how to create, “pops of color and bursts of flavor and texture” in your salad. I highly recommend this book, both for beginner cooks, as well as experienced. 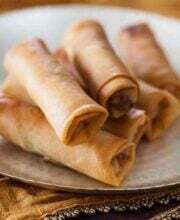 Personally, I learned many detailed points that made me more thoughtful in recipe creation and just cooking everyday meals for my family. We’re giving away a copy of the book, along with a Staub Cast Iron 5.5 Quart Round Cocette in Graphite Color (value $315) to a winner.